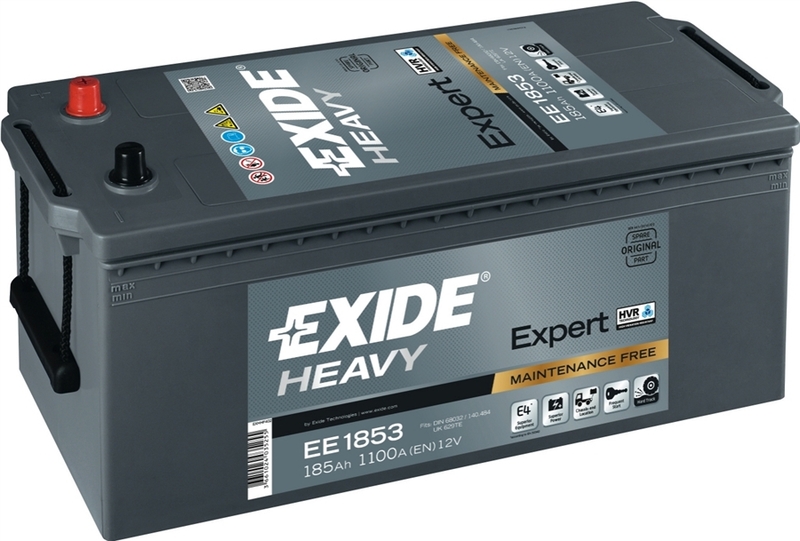 1100CCA 185AH - Exide's Expert HVR batteries are specifically designed to last longer in the most demanding heavy commercial vehicles. Absolutely maintenance free and has a unique battery construction to resist the extremely rough conditions at the end of the chassis. Best for vehicles produced after the year 2000, or for any older vehicles under intensive use. Also best for frequent starting, international transport and intensive 24 hour use and extreme temperatures including agricultural or construction activities.